Jostle’s new Events view makes it easy to publish and communicate meetings and events across complex organizations. 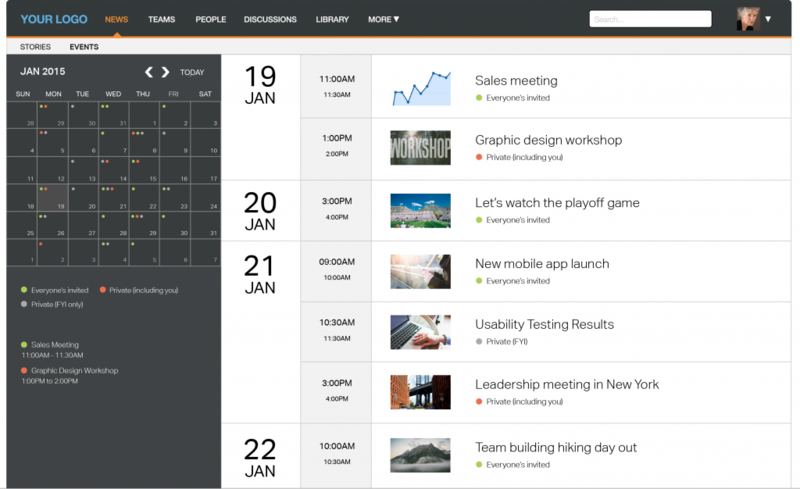 Vancouver, 2015 January 27 – Jostle Corporation announced today that it has added an integrated events publishing tool into its cloud-based intranet offering. 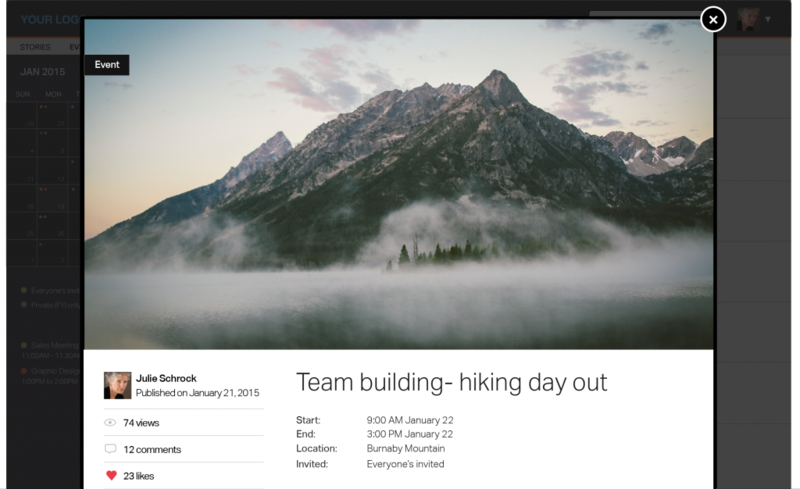 This new Jostle view makes it simple to plan and promote events across extended organizations. Thanks to Jostle EVENTS, your sales meeting will never again be on the same day as the new building opening. One sector that has been eagerly awaiting the arrival of EVENTS is franchised restaurants and retail, where seasonal planning between head office and franchised locations never ends. “We can tell people when a new menu item is coming, when they need to prepare, and when they need to update their cash registers,” commented Amanda Stone, Director of Training & Communications at Houlihan’s Restaurants. Jostle’s experience and design team worked closely with Amanda and other customers in creating this powerful approach to organizational event planning. EVENTS leverages Jostles TEAMS® technology, making it simple to publish events to specific locations or employee groups. For example, you can easily share the tradeshow schedule for the year with just the extended sales and marketing teams across multiple business units. Individual employees can easily copy events into their personal calendars. Coordinating and publicizing events is key to successful internal communications. Jostle EVENTS is now available as a standard feature in all Jostle intranet subscriptions.